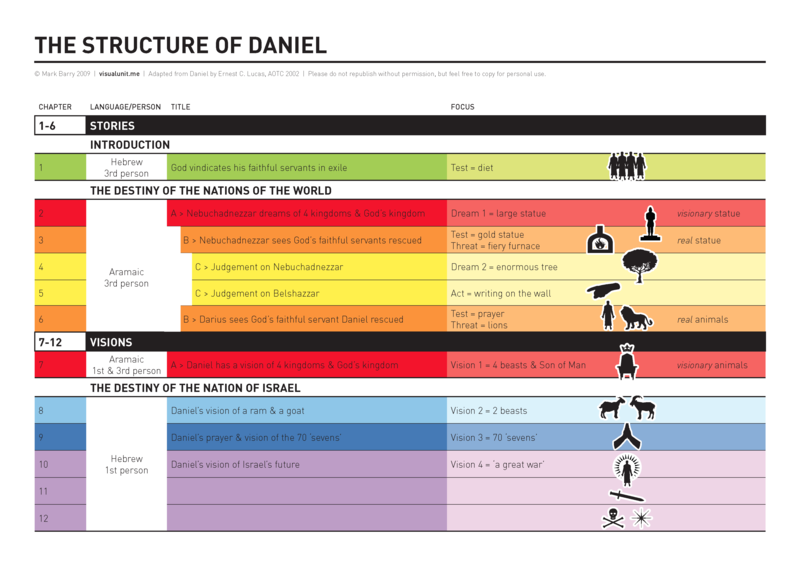 This entry was posted in English and tagged Daniel, Old Testament, overview, structure. Bookmark the permalink. The image says to not republish without permission. Could I use it in a bible study booklet?